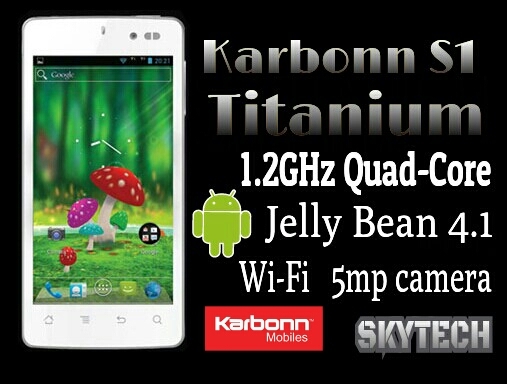 Karbonn S1 Titanium the Quad core phone launched..!!! Looking at the competition heating up Karbonn too decided to launch the Karbonn S1 Titanium. The main attraction is the 1.2 GHz Quad Core processor and it also runs on Android 4.1 Jelly Bean OS.